It takes the right combination of hard work, insight and opportunity to reach your financial goals. Making the right decisions for you, your family and your business can be overwhelming. There’s so much to think about - making sure your family is taken care of, even if you can’t be there for them; planning for a long, comfortable retirement; running your business, on your own or with partners; leaving a legacy for your children and grandchildren. That’s where Planned Financial Services can help. 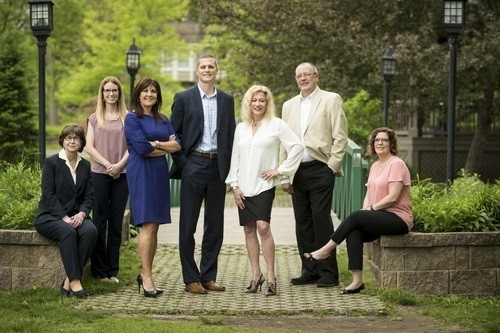 Since 1955, Planned Financial Services has been a fixture in Clarkston, simplifying what’s overwhelming by providing financial planning services to help meet the needs of individuals, families, business owners and executives - people just like you who live and work in your local community. Whether you are looking toward a milestone event - like retirement - or looking for financial protection for your family or business, we’ll give you our attention, insight and guidance to help you feel confident that you’re on a path toward financial security. "We simplify the process of helping you create, protect and transfer wealth for families in our community."